A headstrong single mother fights back against a desperate bank robber in this tense thriller from The Marine director John Bonito. 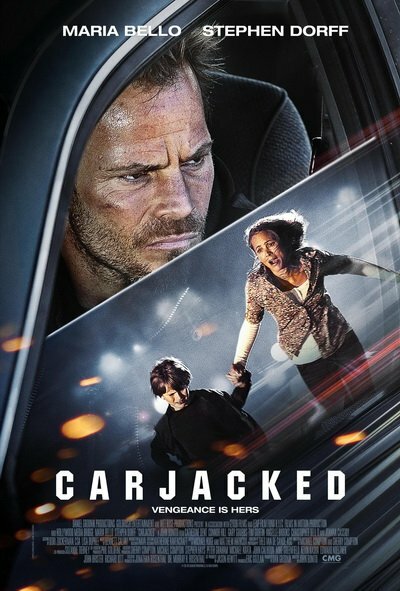 Having recently separated from her abusive ex-husband, Lorraine (Maria Bello) is driving home with her young son Chad (Connor Hill) when she pulls into a gas station to grab a quick dinner. That's when Roy (Stephen Dorff) appears in her back seat with a loaded gun, and demands that Lorraine starts driving. Roy is a bank robber who's just pulled off a major heist. He's on his way to pick up his money, but with the cops everywhere he's sure to be caught if he goes it alone. Though Roy assures the terrified mother that he will not harm them if they do what he asks, Lorraine begins to suspect they will both be killed once Roy gets his cash. Realizing that one false move could mean the death of her son yet determined not to be victimized, Lorraine fights fiercely to gain the upper hand against Roy, and see that he pays for his crime.